Luke West (V8X) and Tony Whitlock (Racefax) review the weekends racing, who is are the winners and losers from the events of the weekend, and what did it mean to see Jason Richards on the Podium? James Moffat continues his Rookie Year Story. And on this weeks white flag lap – Craig Lowndes talks about his Road to LeMans. Tony Schbechi (SEN) and Lachlan Mansell (Winton Motor Raceway) look at the sale of V8 Supercars and what to expect at this weekend Race 10 & 11 of the Championship. Randy Corners previews the Winton Round. And on this weeks white flag lap – Todd Kelly shares his thoughts on the sale of the Championship. V8 Supercars have announced they have sold 60% of the organisation to Archer Capital. SEL have divested themselves of all interest in the sport, while the teams will now retain 40% Ownership. A new V8 Supercar Commission will be established and Overseas races will be doubled in the next 2-3 years. 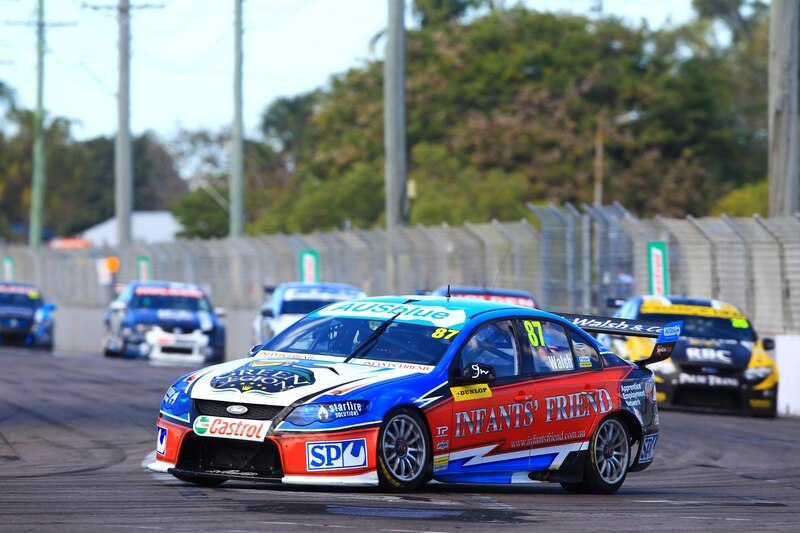 Mark Fogarty (Auto Action) and Neville Wilkinson (Auto Action) look at the sale of V8 Supercars and how the Broadcasting Rights can affect the future of the sport. David Russell continues to look at the Fujitsu Series, following a dramatic weekend of racing in Perth. And on this weeks white flag lap – Jason Bright discusses how Brad Jones Racing is progressing following the teams first ever race win. Show 262 – Perth Wrap & the Crash. Peter Norton (Inside Motor Sport) and John Bannon (Auto Action) review all the action from Barbagallo. James Moffat talks about when a Rookie driver can get tough. On the White Flag Lap, we look at the Fujitsu fight Morris Vs Percat. Categories PodcastLeave a comment on Show 262 – Perth Wrap & the Crash.